French Reporter and Host Jackie Watson from Eye On LA sits down one on one with Valerie Dominquez. About Do You Believe? When a pastor is shaken by the visible faith of a street-corner preacher, he is reminded that true belief always requires action. His response ignites a journey that impacts everyone it touches in ways that only God could orchestrate. 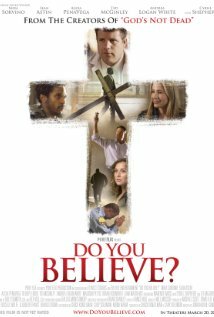 Do You Believe hits theaters March 20, 2015.